A tower is activated in the Desert! An unlucky crow perching on a lamppost is attacked by one of XANA’s spectres. It flies off and finds more of its kind to XANAfy. He’s then the only one who laughs when Johnny won’t get off Yumi’s back in the cafeteria, to the dismay of the Japanese girl. Without hesitating, the heroes run to the factory, seemingly losing their flying pursuers. 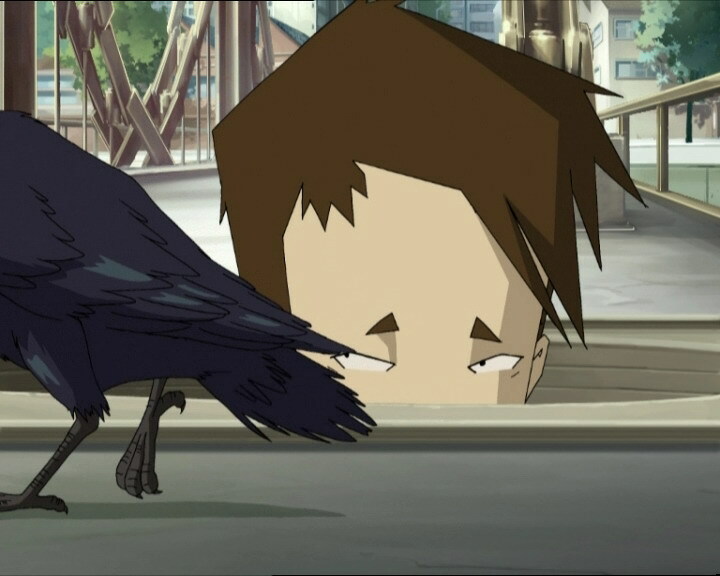 No sooner do they disappear under the manhole cover do the crows attack Yumi in the gym as Johnny watches, frightened. As soon as the Scyphozoa finishes its work a Manta arrives to take Aelita on its back to the Way Tower. 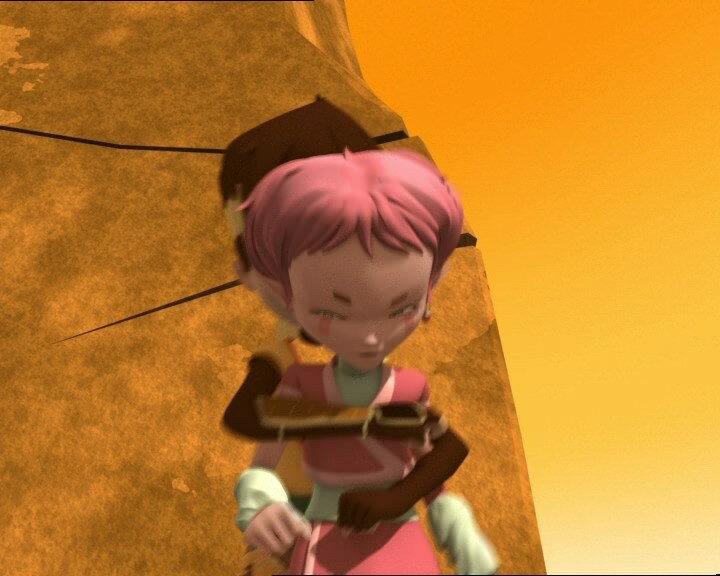 Making use of his great speed, Urlich chases after them and manages to make Aelita fall from her ride. Still disarmed, Ulrich does all he can to stop Aelita from reaching the Way tower; he dodges energy fields she sends at him, he tries to hold her against him and use her as a human shield, but it doesn’t work. 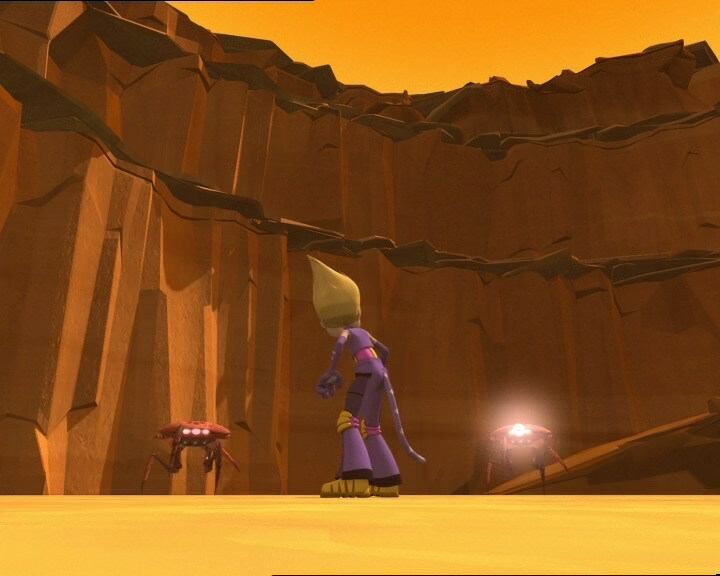 While he’s fighting off the Hornets and Manta with a sword-like rock shard, Aelita finally makes it to the tower. The inevitable follows, the Code XANA is entered. 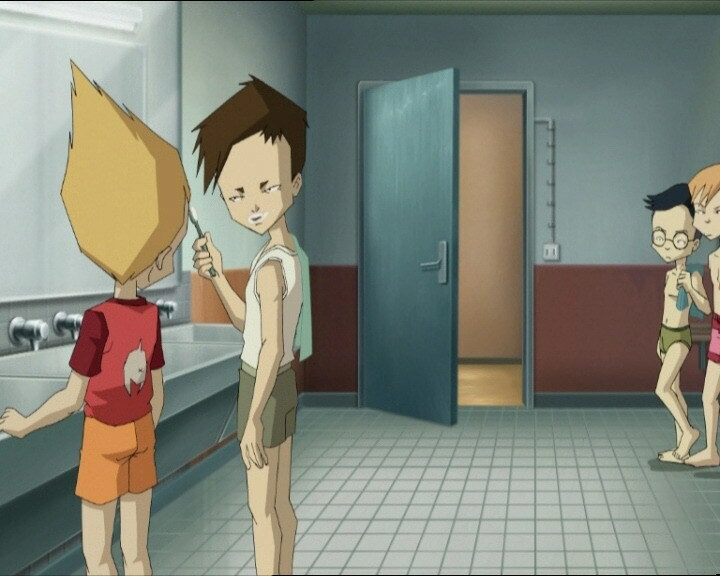 The next day, Ulrich asks Johnny to take an apology message to Yumi, who asks the young year six student to study with her. 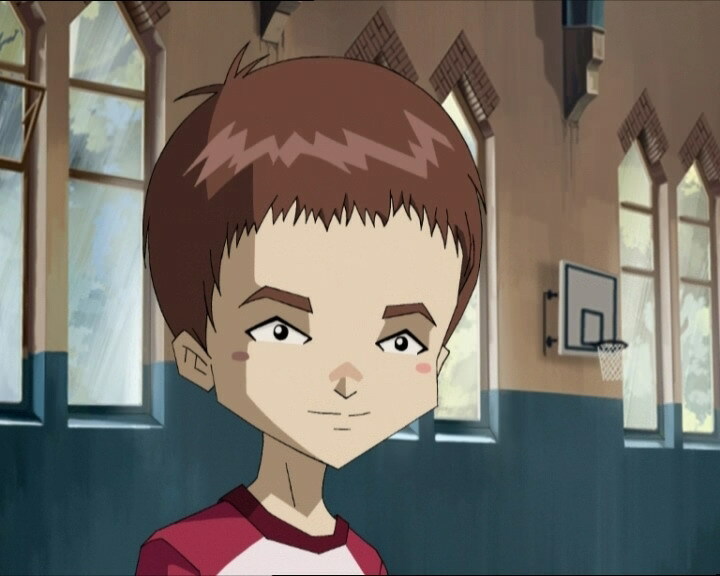 Outside, Jeremy reveals the best Lyoko Warrior of the month: Aelita! 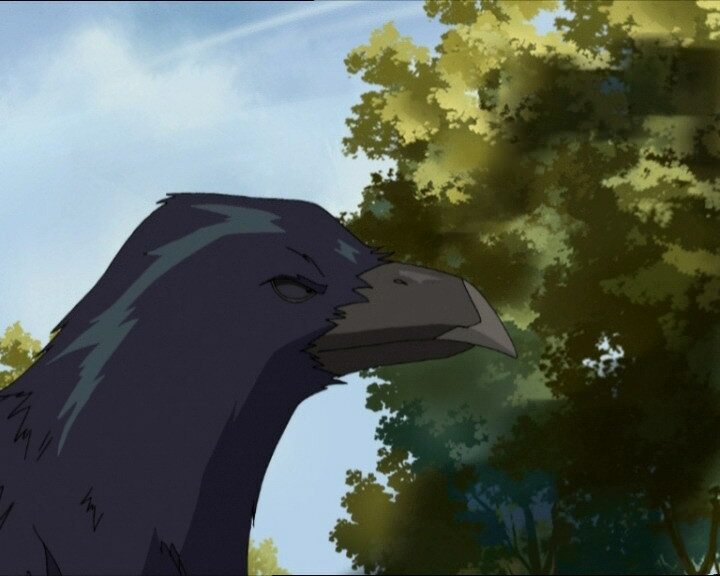 - Attack: XANAfy a murder of crows to take care of the group, especially Yumi, then Jeremy once Aelita is possessed by XANA. - Return to the past to save Yumi from her injuries by the crows. - The Desert Sector is destroyed by the Code XANA. - First time Ulrich’s sabre is devirtualised by monsters’ lasers, other than a Megatank. - Ulrich likes raisin bread and he says he was victim of hazing when he arrived at Kadic. - Jim worked in the secret services studying paranormal activity. But he can’t talk about it…top secret. - Johnny is a fan of Hospital of Horrors, he loves manga, comics and magazines. - Jeremy made a statistics program to rank the Lyoko Warriors; Aelita is the best of the month while Odd and Ulrich engaged in a ridiculous fight! - The back of Johnny’s shirt is red instead of white when he’s in Ulrich’s room. 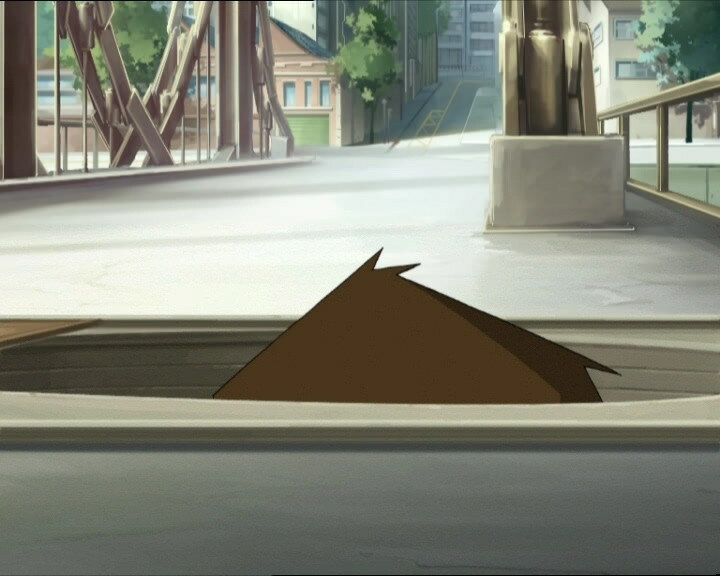 - The manhole cover is brown when Ulrich removes it. - The antenna on Aelita’s phone disappears at the moment when she wants to join Yumi. 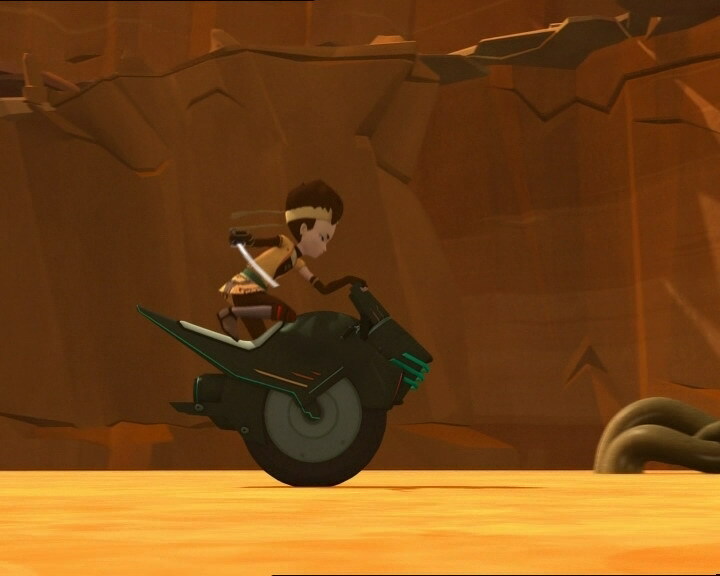 - Johnny has a bandage on his forehead when he’s in the ambulance with Yumi, but he wasn't attacked by the crows. - During one scene, the Way Tower has a red halo when it hadn’t been activated! - Odd’s pants are entirely the lighter shade of purple when Ulrich says he doesn’t trust him with numbers. - The keyboard of the computer in Jeremy’s room disappears when the Superscan detects the activated tower. - The doctors say Yumi is 14, but since season 3 takes place a year after season 1, she should be 15. - The principal’s moustache and eyebrows are grey when he sees Yumi hurt with Jim and Johnny, and his eyebrows are grey when he responds to Yumi’s phone. - The mode of attack is similar to in episodes 11 “Plagued,” 12 “Swarming Attack.” 44 “Vertigo” and 74 “I’d Rather Not Talk About it”. - First time that, while possessing animals, XANA manages to make them shoot lightning, though to a lesser degree. - Reappearance of the ambulance driver from episode 18, “Killer Music”. - New mention of Dr Schrank and the series Hospital of Horrors. - Launching an RTTP when Aelita is possessed by XANA is dangerous and the consequences unknown. 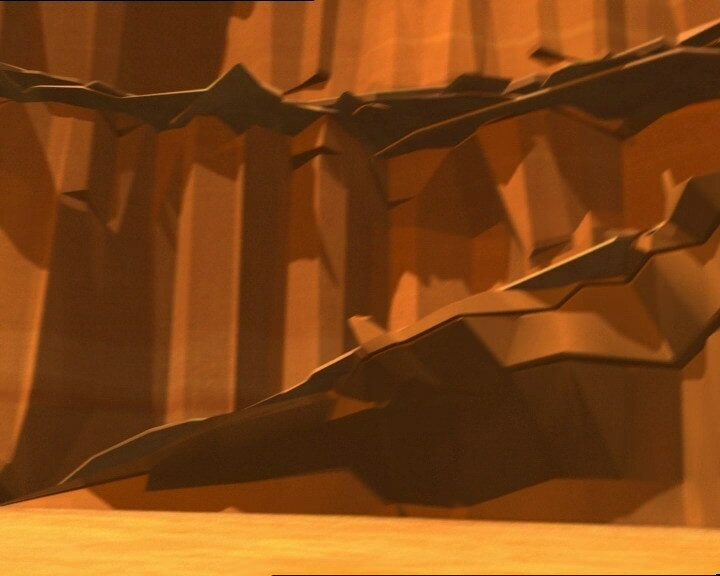 - When Aelita sends Ulrich into the rock, he seems to have been winded, which is impossible on Lyoko. - The attack in this episode is clearly inspired by a film released in France in 1963, “The Birds” by Alfred Hitchcock. Odd makes an obvious reference to it in this line: "That reminds me of a film…a dumb flick where birds attack the heroes. It wasn’t even scary!" In the thriller, taking place in a small village, the characters witness strange phenomena: the birds in the city become more and more aggressive as the film goes on! Odd: Forget it, Ulrich! Your sabre may have some class, but compared to my laser arrows, your monster count is way behind mine! Ulrich: Oh yeah? I bet you forgot that my sabre saved you from a quick game over last time! Jeremy: You know what? I made up a little statistics program that I’m using to record your performances on Lyoko over the past few weeks. So tonight, if you want, we can compare and see who’s best, ok? Odd: That’s great, I really love stats! We’ll finally have proof of my superiority! But in any event, I’ve got something that you’ll never have, good buddy, and that’s style! Ulrich: Style, my friend, doesn’t impress a Megatank! Nicolas: Hey, what’s all this about a Megatank, huh? You talking about a video game? Odd: Yeah! Teddy Bear Heaven! Way too complicated for you! Johnny: When I see Yumi, I mean…I’m…wait, I mean…well, I’d like to…you remember the episode of Hospital of Horrors that was on last week? Ulrich: Huh? You’d like to give Yumi a transfusion of French poodle’s blood? Ulrich: He’s totally flipped out over Yumi! Aelita: That’s adorable! So what did you tell him? Jeremy: You did let him down gently without laughing at him? Ulrich: You’re kidding! I wasn’t gonna pass this up! I told him to follow her 24 hours a day, every day, nonstop. Aelita: That wasn’t very cool, Ulrich. Yumi hates to be followed around, she’ll probably tell him to get lost. Ulrich: So what if she does? Jeremy: You know Ulrich, you can be a real jerk sometimes. Ulrich: Hey, come on, it’s just a little bit of hazing! I got hazed when I was in seventh grade! Odd: Hazing, huh? Sounds more like jealousy to me! I don’t believe it, you flip out even when Kiwi looks at Yumi! Ulrich: Hey, don’t forget, Yumi and I are just friends and that’s all! Johnny: Oh you’re having salad? Vegetables are good for you, lots of vitamins! Johnny: I can’t believe that you love Brussels sprouts too! We have so much in common, it’s amazing! Aelita: What about you, Odd? How did you do on question three? Odd: Simple, I said China was the most populated country in the world with a billion people per square metre! Odd: You mean I got it wrong? Ulrich: I guess I was right not to trust your stats, huh? Yumi: Johnny, you wouldn’t be planning on following me all over all the time? Odd: I take it all back! It wasn’t a dumb fail after all! Ulrich: Odd, come on, we’re here! Odd: Give me a second to finish my acupuncture session! Ulrich: You’re gonna cry when you see the results! Odd: I doubt it, buddy. And besides, I don’t cry when I get bad grades, do I? Ulrich: If you did, you’d have drowned in your tears ages ago! Odd: May the best man win, and that’s me! BAAANZAAIIIII! Ulrich: Is that what you mean by style? Jeremy: Ulrich and Odd, would you mind concentrating? Do I have to remind you there’s a Tower to deactivate if you want to save Yumi? Ulrich: So long, Odd, the Mega-! 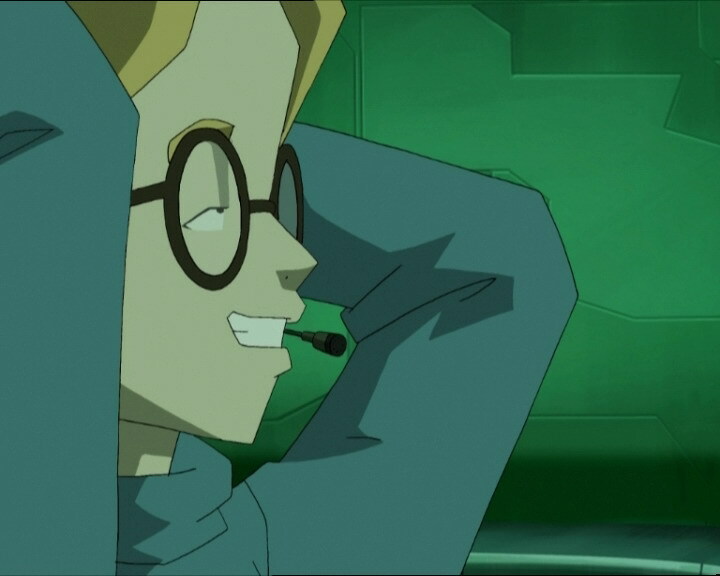 Ulrich: Hey Aelita, you’re cheating! 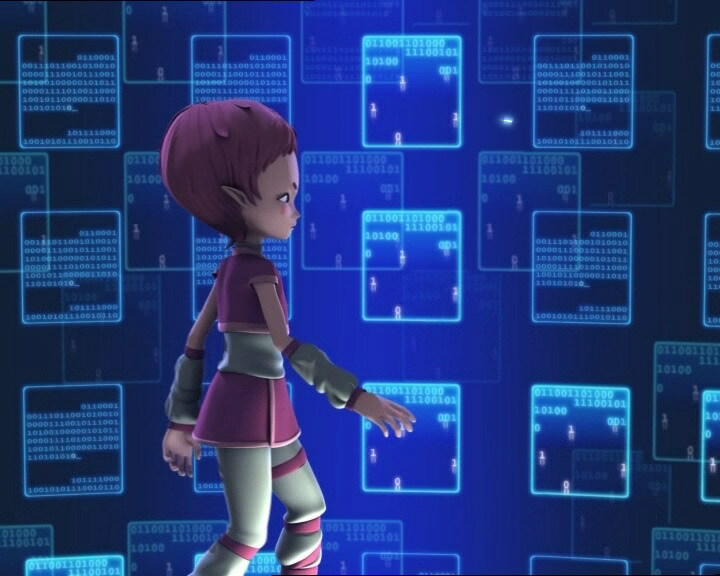 Aelita: Yeah, I know, but you guys are just too clumsy! Mr Delmas: Can you make anything out of this attack by birds with electric beaks, Jim? Jim: No…never seen anything like it, sir, uh…except for when I investigated paranormal phenomena for a highly special secret service section. Mr Delmas: You did? I didn’t know that! Jim: I did. But I’d rather not talk about it…it’s a classified defence secret. Odd: Ulrich, can you hear me? Jeremy’s out cold, the birds have attacked him! Ulrich: Oh great…XANA’s captured Aelita. I’ve got Hornets on my tail and my sabre’s gone! Yumi: Where did you get this stupid idea to follow me from? Johnny: From Ulrich. He said it was the best way to get your attention. And so that’s what I’ve been doing. Yumi: I shold’ve guessed it was him…he’s not only jealous, he’s dumb. Odd: Come on Jeremy, this is the tenth slap! Don’t tell me you need a real smash! Jeremy: Odd? Are you crazy or what? Jeremy: Tell me what’s going on. Do you need help? Odd: For the Desert Sector, yes. But for Yumi, I hope not, so…move it! Johnny: Ulrich is a really dumb jerk, and he wants to apologise for pulling such a stupid stunt. Yumi: …ok! Well, why don’t you sit down? We can study together! Johnny: Wow, that Ulrich really rocks! Jeremy: Hey guys! 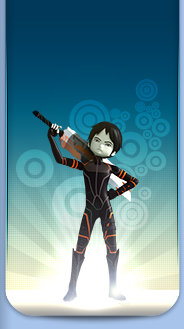 I got the latest stats on Lyoko battles! Odd: Ready to eat your hat, good buddy? Ulrich: You’re the one who’s not going to be able to digest this! 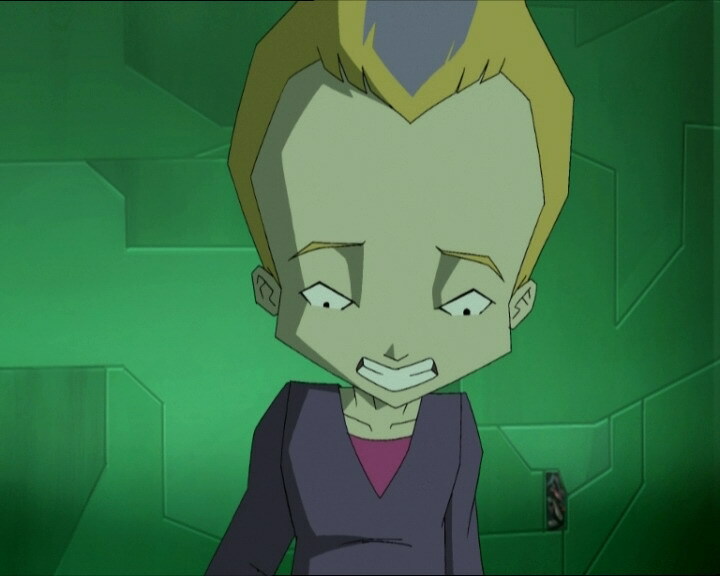 Jeremy: The Lyoko Warrior who has outclassed all the others is…AELITA!